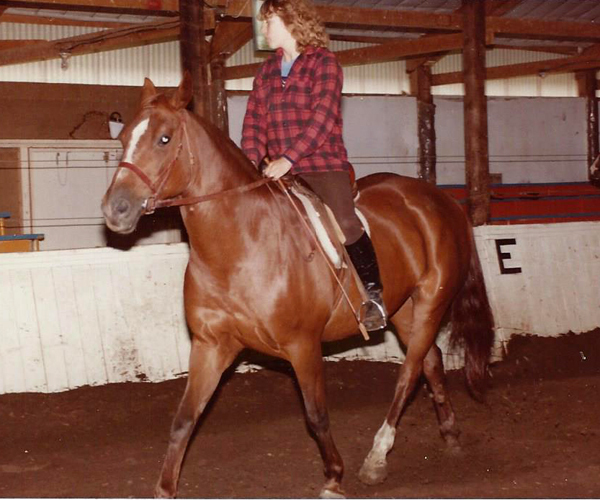 I loved the Arabian breed and, after owning three of them, Bonnie the Quarter Horse cross seemed pretty average-looking, and she wasn’t an exciting ride, even a little lazy. But she did everything I asked without a fuss, navigated the mud quietly, and was in my budget, just $200 more than what I’d received for Shandy. The first lesson I learned from Bonnie? Owning a horse that suited my experience and needs beat spirited every day of the week. For the first time in my life as an equestrian, I was appropriately mounted and, instead of managing the behaviours of a green horse, I could just get on and learn. Such a gift. I owned Bonnie for just under a year, but, in that short time, I learned to ride English and to jump, I participated in horse shows, rode in a parade, and made some fabulous friends who were riding alongside me. 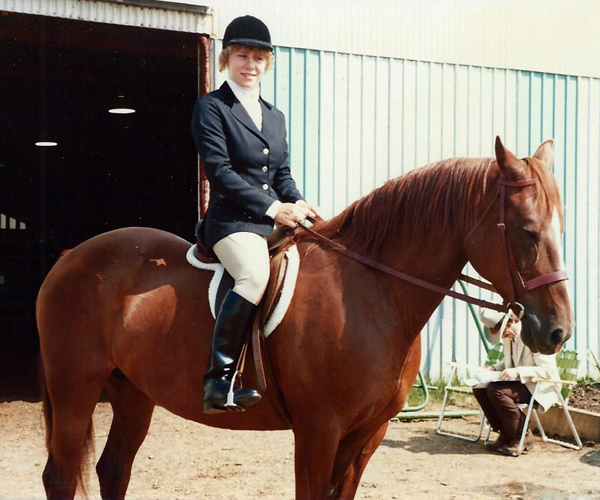 Bonnie opened the door to the equestrian world that would become a huge part of my life for the next thirty years. 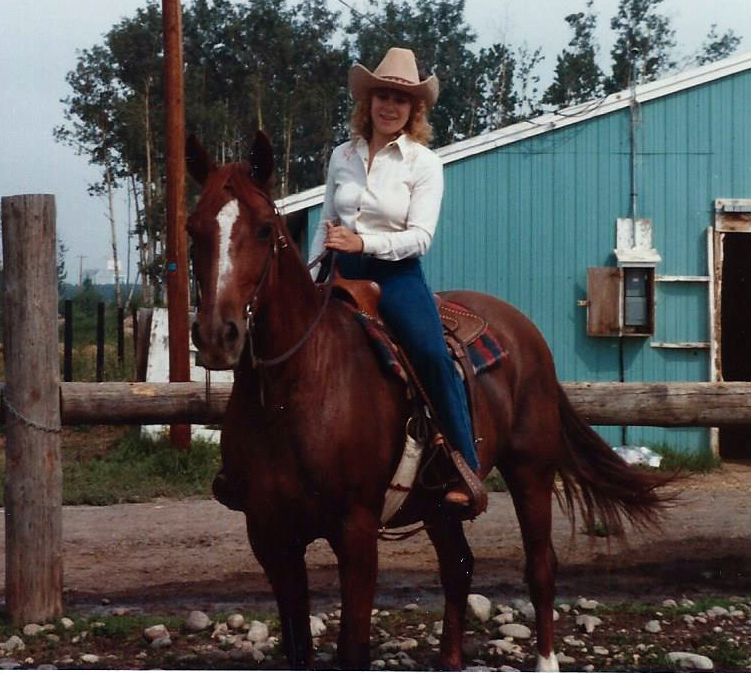 I sold Bonnie when I left Fort St John to attend college and, although she hadn’t captured my heart quite like Shandy had, I’ve never forgotten her sweet nature or her contribution to my journey. She might not have been flashy or spirited, but she was indeed a bonnie lass. Tune in next time for the misadventures of Mr. Houdini (aka Bob). Sheesh. I didn’t remember Bonnie either. Where did she live? Seems like you were perfectly matched ? We were a good team. 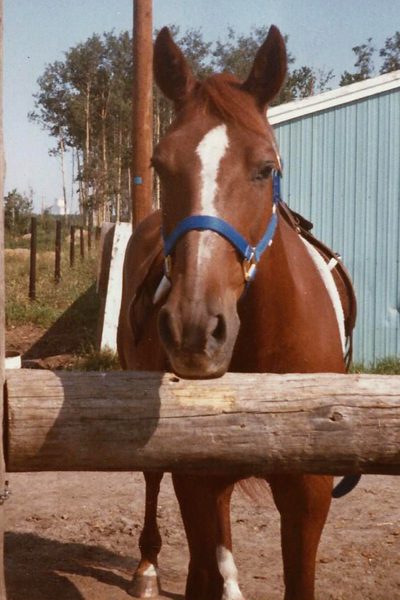 She lived at the FSJ Equestrian Centre at the rodeo grounds.